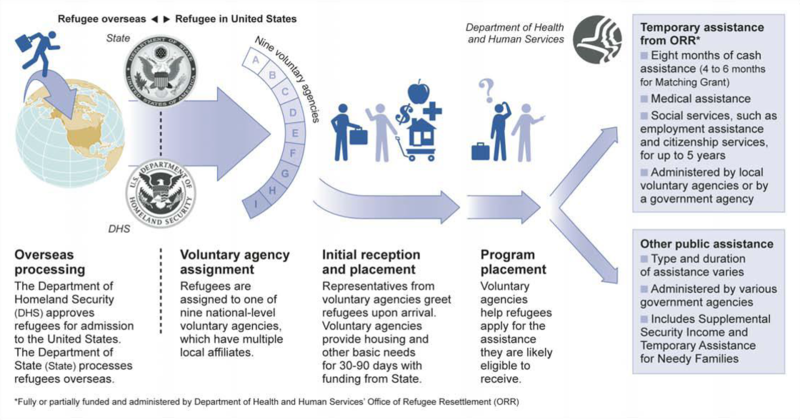 As refugees are Medicaid eligible, they can receive care anywhere that accepts Medicaid. The list below is not an endorsement but provides available clinical services where refugees frequently seek care. Provides behavioral health, primary medical care, and related services through an integrated system of care. Provides resources to help prevent the spread of the hepatitis B virus to infants and to any household and sexual contacts of a HBsAg-positive pregnant woman. Provides refugee health screenings as well as primary care, behavioral health, and patient navigation services through integrated care. Appointments available M-F 7:40 a.m. – 5:40 p.m. (Clinic hours are 7:15 a.m. – 6:30 p.m. Closed from 12 - 1 p.m. for lunch). Provides immunizations to refugees of all ages. Appointments available M-F 8 a.m. to 3:30 p.m. Walk-in clinic Tuesdays 8 a.m. to 2 p.m. Accepts Medicaid, TriCare West, CHP+, and many forms of third party insurance. Interpreters available via phone. ​Helps refugees navigate issues such as health care, education, language, finance and culture in order to help them become self-sufficient. Provides a variety of integration services and programs, including linguistic integration, civic engagement, education and economic integration, and intercultural understanding. ​Provides accessible, affordable, high-quality health care and support programs to children and youth across Colorado regardless of their insurance status or ability to pay. Primary care for refugees arriving in Northeast Colorado. Also operates a Mobile Unit. Please call Christina Brown​, Outreach Manager, at 970.350.4638 to confirm dates and times. ​​Refugee Health Clinic: Aurora Office. Blanket Civil Surgeon for refugees ONLY ($25 to complete I-693 form). Interpreters available via phone or in-person. Serving refugees only. Comprehensive medical clinic including all vaccines and Green Card papers (I-693). In Mango House, open 8-7 M-F and 9-3 on Sat. No appointments, all “walk in” visits. Refugees in the United States who apply for adjustment of their immigration status to that of permanent resident (apply for a green card) are required to be medically examined by a USCIS civil surgeon. Refugee patients may have received care at a school based health center (SBHC). This is a consideration when reviewing medical history and as a referral option for follow-up vaccines.